This week I noticed some yellowing leaves on my Mandevilla Vine. Because I have had problems with spider mites in this area of the basement in the past, they were tops on my list of possible pests. Instead of peering at each stem individually, I used my quick and easy solution. I sprayed the entire plant with a mister. Sure enough, the webbing the spider mites leave behind on the leaves caught the droplets of water and glowed in the sunlight. 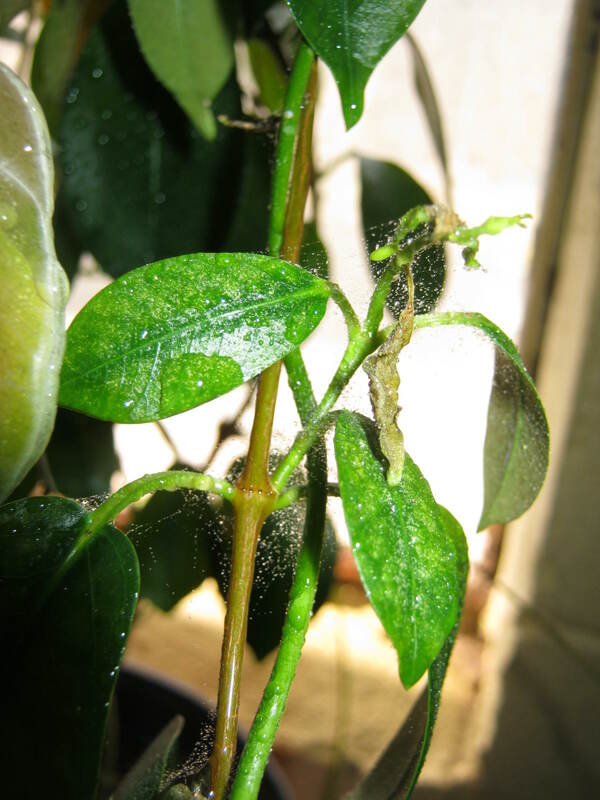 Since I want to keep all my pest control organic, I have found that the best approach to controlling spider mites is to spray the plant with water every day. This keeps the spider mites under control until it is warm enough for me to take the plant outside and really douse it with a hard spray of the hose. Daily sprays of the hose for a week or two will obliterate the spider mite colony. This technique also works on aphids. The only other solution is to spray with dangerous chemicals or toss the plant in the garbage heap. Spraying the infected plant with water will allow you to see how badly infested your plant has become. 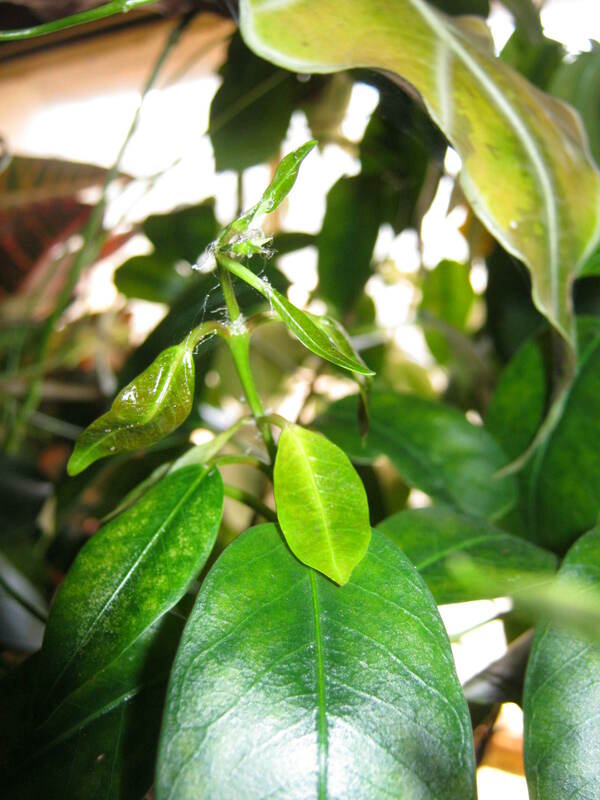 It is a good idea to spray all your houseplants to see if there are any errant mites on surrounding greenery. Thanks Susie, this is one of the worst pets I battle…they are so small, infest the whole plant, and there always seems to be ‘millions’ of them.